Apple began breaking out its Greater China operating segment with the release of its Q1 2013 financials on Wednesday, reporting $6.83 billion in revenue in the region, up 26% sequentially and 67% year-over-year. The company recorded $54.5 billion in revenue the first fiscal quarter, with $13.1 billion in profit. It sold 47.8 million iPhones and 22.9 million iPads. Its performance in Greater China, which includes Taiwan and Hong Kong, continues to gain strength, but it did see the region’s share of overall revenue decline sequentially. In Q4 2012, the region accounted for 15% of overall revenue, but it made up just 12.5% in Q1 2013. It is a significant improvement year-over-year, though, as Q1 2012 saw just 8.8% coming from Greater China. Looking across all of Apple’s operating segments in Q1 2013, Greater China actually had the lowest sequential revenue growth (26%). Japan and the rest of Asia Pacific had the highest with 88% and 89% respectively, and the company’s overall revenue jumped up 52% quarter-over-quarter. The most likely cause for the lower growth in Greater China is the fact that the mainland didn’t receive the iPhone 5 and the iPad 4 and iPad mini until late in the quarter. The new iPads arrived on December 7th and the iPhone 5 hit the market a week later. While some naysayers have expressed concerns that Apple’s handset market share in China is under tight pressure from low-priced Android handsets, the iPhone does still appear to be doing well in China. CEO Tim Cook noted during Wednesday’s earnings conference call that iPhone sales grew by triple-digit percentage year-over-year. “We experienced strong iPhone growth in each of our geographic segments most notably Greater China where iPhone sales more than doubled year-over-year,” he said, as transcribed by Seeking Alpha. It’s worth noting, though, that the year-ago quarter didn’t have a new iPhone launch on the mainland, as the iPhone 4S didn’t arrive there until January 2012. 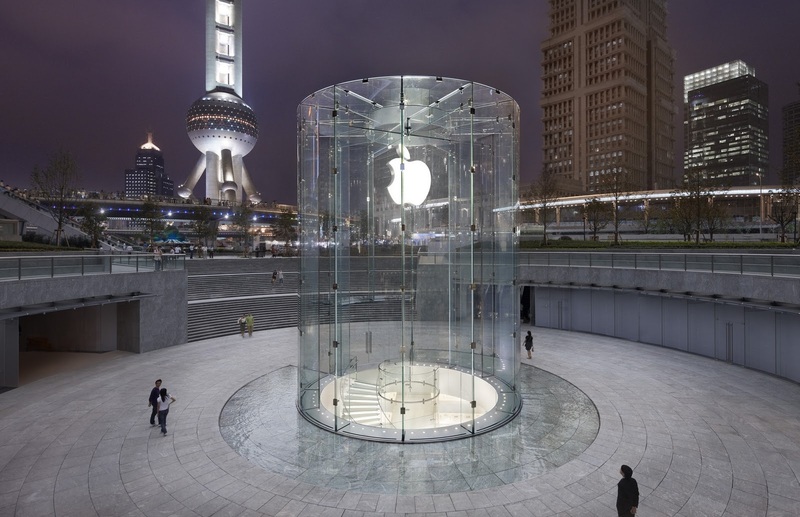 Apple reported record iPhone sales of 2 million units in mainland China during its first weekend of sales. The iPad mini also appears to be quite popular in China, as the company has had trouble keeping it in stock since it arrived last month. Cook himself is optimistic about China, as he told Chinese reporters earlier this month that he expects the region to eventually become its largest market. His recent trip to China included visits with top-ranking government officials and executives at Chinese carriers. In order to continue its impressive sales growth in China, Apple will eventually need to strike a deal with China Mobile, the country’s largest carrier by a large margin with over 700 million subscribers. Sales on China Unicom and China Telecom are going fine, but the country’s smaller carriers have a much lower ceiling. China Mobile has said it expects to sell 120 million 3G devices this year, up from 60 million in 2012. By releasing an iPhone compatible with China Mobile’s TD-SCDMA 3G network, Apple could grab a portion of that pie. Though the company might be more inclined to wait for China Mobile’s 4G TD-LTE network to arrive, that’s still a year or two away. Next quarter will be the quarter to watch for Apple in China, as it will contain the first full quarter of iPhone 5 and iPad mini sales there, as well as the Red Friday shopping event to take advantage of Chinese New Year spending.